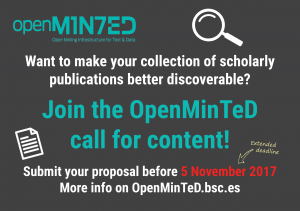 The deadline for submissions for the call for content has been extended with one week to November 5th. Were you thinking about submitting a proposal, but too busy the last weeks? This is your chance! 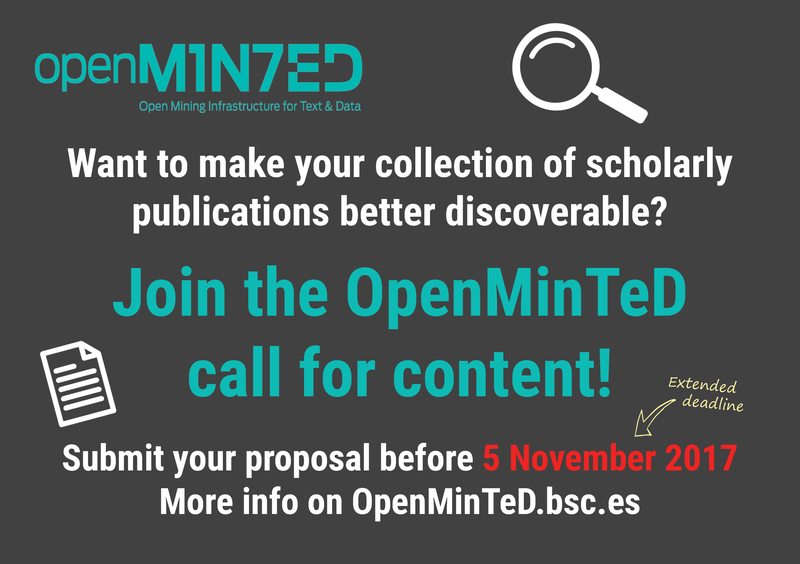 All information is available on the OpenMinTeD Open Tenders blog.